Sure, it’s a marketing ploy perfectly in line with one of Twitter’s most important advertising segments – entertainment. 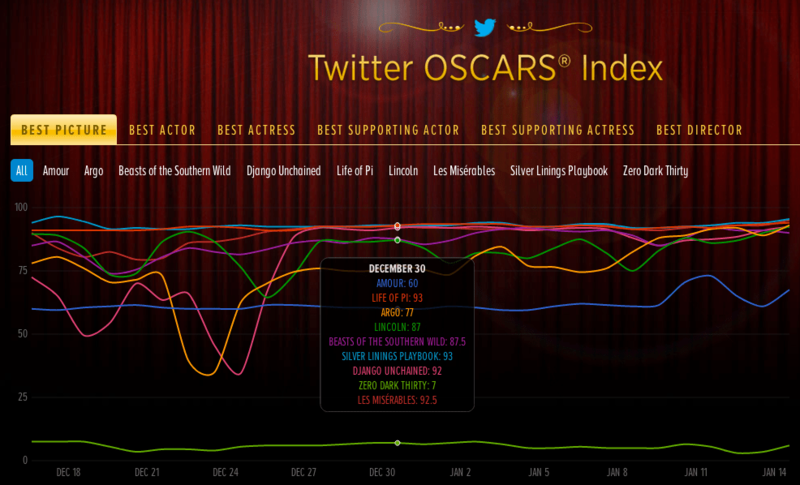 But Twitter’s Oscars Index is a well executed piece of media. It reminds me of the various executions FM used to do on top of Twitter, back in the day – ExecTweets with Microsoft, ATT’s Title Tweets and CupBuzz, etc. Worth checking out.